Fiber Arts Center of the Eastern Shore artists’ directory members are invited to sell their original work in our Etsy shop as a benefit of your membership. Etsy is the No. 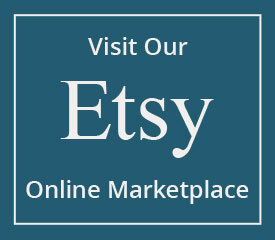 1 online marketplace for handmade goods, arts and crafts. With a customer base of over 33 million art and craft enthusiasts eager to find their next handmade treasure, it’s a great way to find new customers. As a participant in the FACES Etsy shop, you will be part of a growing collective of Eastern Shore fiber artists using the platform to supercharge their earning potential. Through a generous USDA grant, FACES has been able to secure resources to help member artists be successful. FACES provides paid advertising for the Etsy shop to attract new visitors as well as staff to help you every step of the way. You can even use your listings in the FACES shop to promote your own business. As a FACES Etsy member artist, you will work with our FACES Etsy Coordinator to help you every step of the way. We will upload your listings, handle the finances, and make sure you have what you need. We also offer assistance with product photography and access to our fully stocked shipping station. Have questions or need help? Email our Etsy Coordinator, Jodi Bortz at etsy@fiberartscenter.com or call 410-849-9862. Jodi will be at FACES on Thursdays from 12 – 4 pm, or by appointment if you would like to chat with her in person. Already registered? Submit your Etsy items here! Step 1: Register to sell with us! Please note that you must be a current member of our Artist Directory in order to sign up. Not a member yet? Sign up here. Log in to view or complete the form below—or you may download a copy to print, sign, and drop off (or mail) to our office at 7 N. 4th Street, Denton, MD. Submission of the form below constitutes a binding legal agreement. Be sure to read all requirements carefully. Step 2: Schedule a session with us, or dive in on your own! 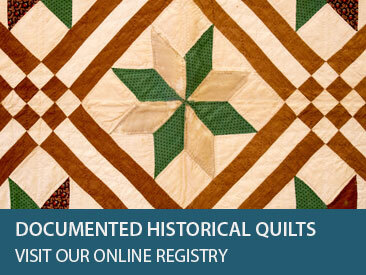 Once registered, you will receive a welcome email detailing the next steps to sell your fiber arts online with us. Depending on your comfort level, you can choose to dive right in and start uploading your own inventory information at the link below, or you can schedule some time to sit down with us for help with photography, descriptions, uploading and more. Step 3: Favorite, follow & share! Our Etsy shop is a collaborative effort. Please be sure to “Favorite” the FACES Etsy shop and share it on your own social media networks and with your friends! Using everyone’s networks, in addition to the advertising and promoting done by FACES can only increase our audience and lead to more sales for everyone! Also, check out our resources below for photography tips & tricks, shipping information, to request access to our private Facebook Group, and more! As a FACES Directory Etsy Artist, you will have the support of staff in selling your works online. You’ll have access to our photography studio and our shipping station, both located at the Fiber Arts Center at 7 N. 4th St. in Denton’s Arts & Entertainment District. You’ll also have access to the FACES Business Training Group where you can collaborate with other Etsy artists, and get tips and learn about promoting your work on social media. Explore the options below to find out more. As a FACES Etsy Artist, you are eligible to access our private Facebook group focused on Etsy and other social media networks. 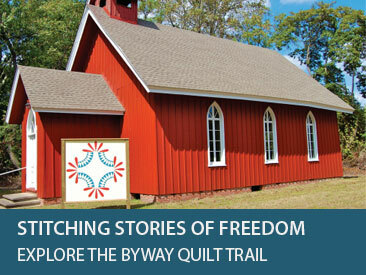 We offer tips and opportunities to connect with other fiber artists in the region. Learn about promoting your work on social media, and figure out how to make the most of your Etsy listings and other social media posts or promotions. Request Access to Our Facebook Group Now! It is important that each package that is shipped from the FACES Etsy group is sufficient to ensure the items our customers purchase arrive safely. It’s also another opportunity to engage with our customers to encourage them to return to the FACES Etsy shop for future purchases. IN ORDER TO COMPLETE SHIPPING, YOU MUST HAVE ACCESS TO A PRINTER. You may come to the FACES workshop during Etsy Office Hours weekly to receive assistance with shipping your item. When an item that you have listed in the FACES Etsy shop is sold, you will receive the following via email. Please reply to the email to confirm receipt. It is recommended whenever possible that you use a USPS Flat Rate box. Flat Rate shipping boxes are available at any post office and at FACES in Denton. If your item does not fit one of the Flat Rate boxes, please use an appropriate container that is clean, strong, and meets postal regulations. You may reuse a shipping box that you have received in the mail. Make sure to remove or cover any barcodes from prior orders. The shipping labels that are provided can be printed on plain white copy paper and attached with clear tape. Make sure the tape does not cover any part of the barcode, as the tape can cause the code to be unreadable, resulting in returned shipments or additional postage. Click the link to learn the basics. Follow our FACES Biz Training group for more tips. You can always set up a one-on-one session to have your product photos taken, to use FACES photo studio and equipment, or to get help with editing your photos. Just email our Etsy Coordinator, Jodi Bortz at etsy@fiberartscenter.com.